Bounded by the majestic Himalayas and the Karakoram, Ladakh is the region in Jammu and Kashmir, tells a magical tale in itself. Its unique location makes Ladakh a popular tourist destination for travelers from not only India but around the world. 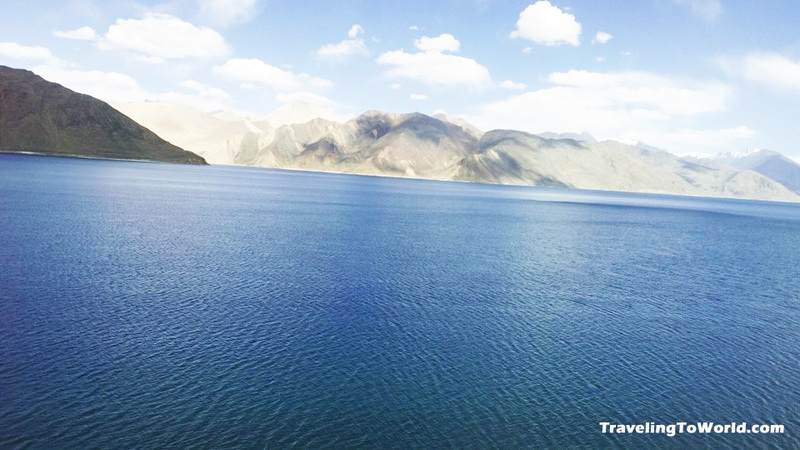 Ladakh is blessed with nature’s exotic splendor and thus, often referred to as ‘the lost Moonland’. The best time to visit this charismatic land is from June to October. Well, in this following write-up we have listed the best five reasons for visiting Ladakh! Emerging from the clouds, Ladakh is a beautiful valley covered by high snowy peaks, bright sunlight, blue skies, and airstrip amidst acres of brown lands, Ladakh truly offers a pictorial delight for a photographer. Here, one can find amazing clarity of vision and the panoramic hill views will leave you fascinated. Great snow peaks, fantastic cloud formations, crystal turquoise blue lakes, amazing combination of barren brown lands with small patches of green can all be captured in a single frame. Besides, things get better with colored mountains of green, white, purple, brown, all standing with frozen lakes and sulphur mines. So, whether you are a nature photographer or wildlife photographer, this land offers an absolute delight with jaw-dropping landscapes, double humped camels, the native Kiangs (wild donkeys), and Ibexes further accentuate the picture. Ladakh being located amidst mountains offers many things rather places have a large number of simple reasons being that it is topographically located at a very high altitude and the rest of the world. In fact, Ladakh is the land of high passes, it has one of the world’s highest motorable road (KhardungLa Pass), agricultural fields, golf course, beautiful cafes and the list goes on. Moreover, it is now being developed as a primary edge astronomy centre. In succinct, this land gives you the feeling of being on top of the world. Ladakh offers you a peaceful experience of life away from plush modernization but still the locals are happy and content. Simplicity is simply the soul of this destination. In fact, the food is very simple and minimalist dwellings. Some simple yet popular things of this place are the delicious apricots, Chhaang (barley beer) or a steaming cup of Ladakhi tea, a note of the local music, peace sanctuaries of Buddhist monasteries, sparkling views of the valley, or just a glimpse of the rosy-cheeked children will leave you nothing but smiling and in love with the simplicity of the life here! Apart from its magnificent beauty, stunning Gompas, monasteries etc., Ladakh offers an ideal base for adventure enthusiasts. It is a best place for people who love challenging adventure activities like, bike rides, trekking across frozen rivers, white water rafting, mountain climbing or hill camping! According to the history, Ladakh was a significant part of the Silk Route (which connected India to Central Asia) and also a land of frequent invasions. In fact, in the recent times, Ladakh has been witness to the conflict with China in 1962 and Pakistan in 1999. The location of Ladakh on the map has given rise to two different faith followers: Buddhists and Muslims, living in perfect harmony. Another important fact about Ladakh is that one of the tribes residing here is said to be the lasting true Aryans. Already enticed to visit this magical land?